Manchester United captain Wayne Rooney has finally put an end to all the speculation surrounding his future by announcing that he is staying at the Old Trafford club. Having fallen down the pecking order at United under Jose Mourinho, Rooney was linked with a big-money move away from Manchester, with the Chinese Super League labelled as his most likely destination. 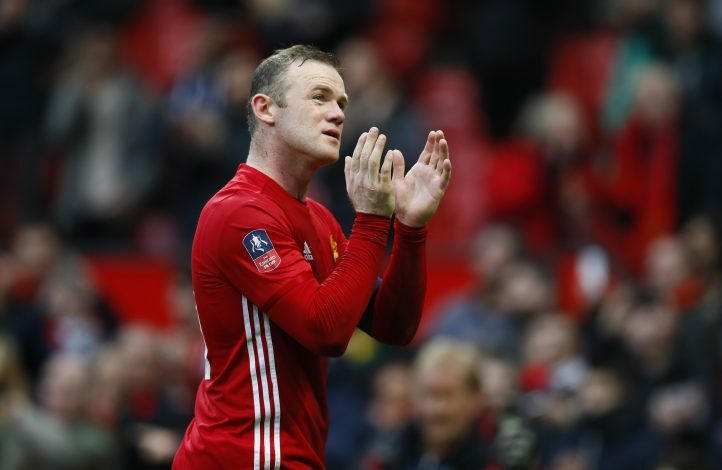 While Chinese clubs did express their interest in the Englishman, several pundits and former teammates suggested Rooney to remain in the Premier League itself, and continue fighting for the English and European titles with or without Manchester United. However, Rooney has now put a full stop to all the rumors, by committing his future to the Red Devils. The 31-year-old released a statement to the press association, which read (via Telegraph): “Despite the interest which has been shown from other clubs, for which I’m grateful, I want to end recent speculation and say that I am staying at Manchester United. And after confirming his stay at the Theatre of Dreams, Rooney will now look to add yet another medal to his decorated trophy cabinet when Manchester United take on Southampton in the EFL Cup final this Sunday.